Nicole & Truman took the time and intention to plan the wedding that truly suited them, their beliefs, their style…pretty much everything. They were thoughtful and easy to work with through the planning process and their wedding day. 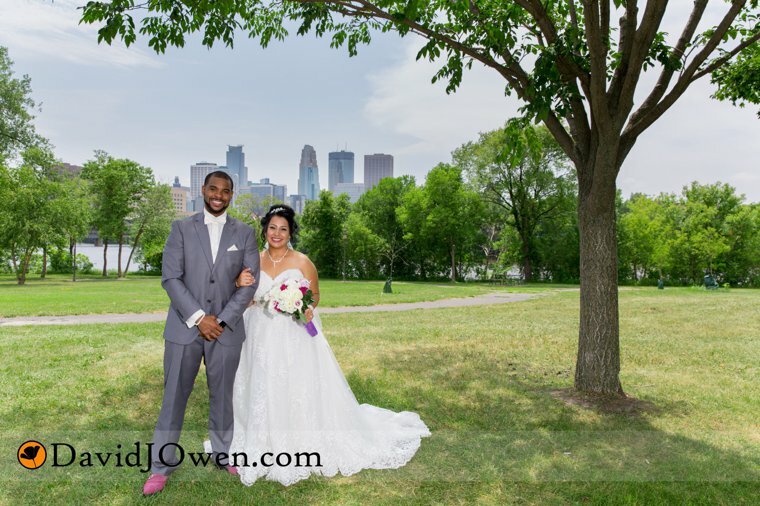 The day of the wedding was one of those steamy July days, which added a bit more challenge to an outdoor ceremony at the Minneapolis Sculpture Garden. Not surprising that guests and wedding party rolled with the extreme conditions without any complaint. The reception was held at the Profile Event Center, and the space, decoration and color scheme once again was perfect. This group loved to dance, and DJ Mando worked the crowd beautifully and kept everyone dancing – sometimes a tall order for DJ’s. A big congratulations and thanks for having us be a part of your amazing wedding! It was gorgeous spring day that felt more like mid-summer for Julia & Paul’s wedding. Wedding and reception were held at a private home along the Mississippi River, which was a perfect spot for friends and family to celebrate, socialize and swim! It was such a treat to be able to capture their wedding day – thanks and congratulations!